Each deluxe cabin is luxuriously furnished to recreate interiors from the royal bedrooms of the rulers of the Decccan region. 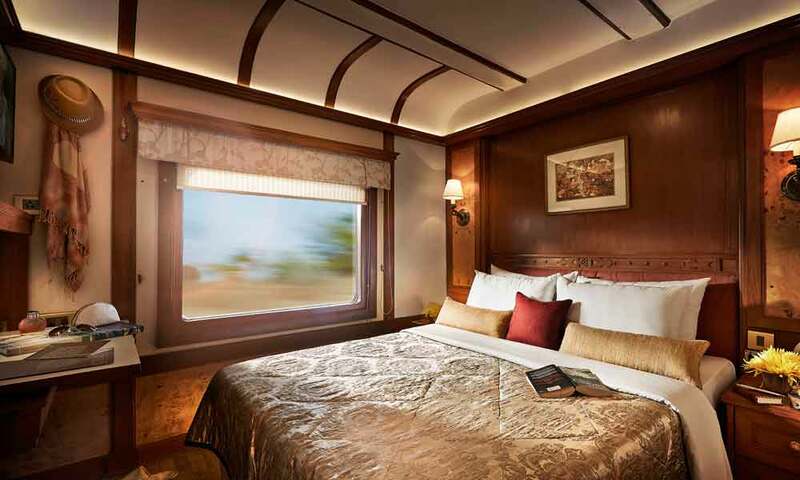 The entire train is fully air conditioned and the deluxe cabin has individual controls. 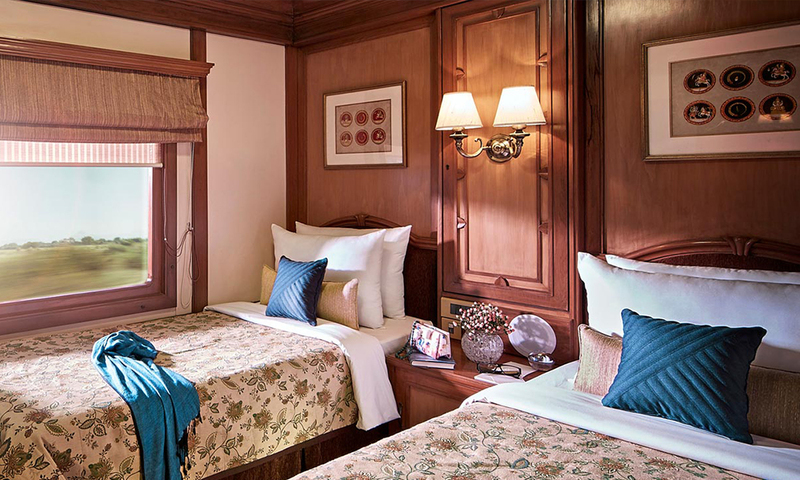 Equipped with elegantly furnished beds and attached bath, each cabin is the last word in royal luxury. Guests have access to their own attached bathroom with toilet, shower and hot/cold running water. There is a personal attendant on call at all times and there is TV, channel music and wi-fi internet on board to keep guests happily engaged. Deluxe Cabin: 95 sq. ft.